The greater Los Angeles area covers 4,850 square miles and is home to almost 18 million people. Perhaps America's largest human creation, it has been vilified and celebrated in equal measure since its inception. With LA Day/LA Night, photographer Michael Light continues his aerial examination of the arid American West by bringing together two opposing views of the city in a double-volume set. LA Day stares directly into the sun, blasting the metropolis in a relentless blaze. 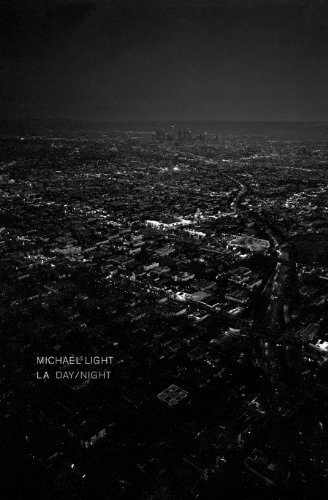 LA Night drifts over the city as it grows darker, then begins to resemble the starry sky vaulted above.